Kulas Maids Inc. is a family owned and operated business and our company’s goal is to ensure customer satisfaction. Because we have been in business for over 35 years, you can trust our cleaning service to clean your Chicago home. Kulas Maids offers trained maids, vacuums equipped with HEPA filters, and green cleaning products. 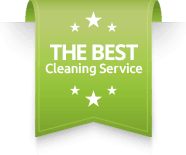 It’s no surprise that Chicago residents choose Kulas Maids Inc. as their cleaning service! Does your busy schedule keep you from cleaning your home? Kulas Maids Inc. is the finest house cleaning service in Chicago, Illinois. Because we offer a 100% satisfaction guarantee, if you are ever unhappy with the results of your house cleaning, we will return the next day to reclean the area free of charge. Kulas Maids Inc. has a primary goal of serving its customers the best house cleaning service in Chicago. Kulas Maids Inc. uniquely serves its clientele by sending a maid service of 4 trained maids to your Chicago home. Because of this, Kulas Maids can assure you that our maid service in Chicago will clean your home quickly and efficiently. For more information about the services we offer, please click on the ‘Services’ tab or go to our home page to watch our new video.